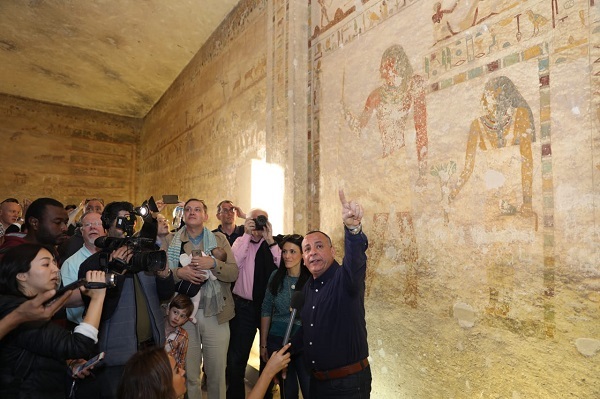 Egypt's Minister of Antiquities Khaled El-Enany, Minister of Tourism Rania Al-Mashat and 11 ambassadors to Egypt toured a number of antiquities sites in Minya on Friday. 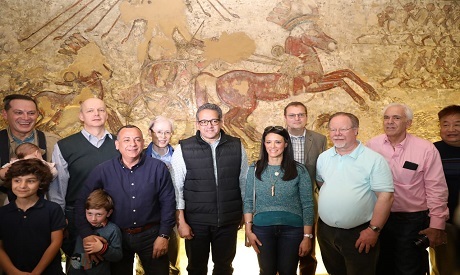 In Tel El-Amarna they visited the tombs of Panehsi and Mery Re, two of the top officials in the reign of king Akhenaten, which feature notable wall paintings. The paintings depict scenes showing the visit of Akhenaten, his wife Queen Nefertiti and their daughters to Aten Temple, as well as scenes showing them worshipping Aten and distributing offerings to the people. 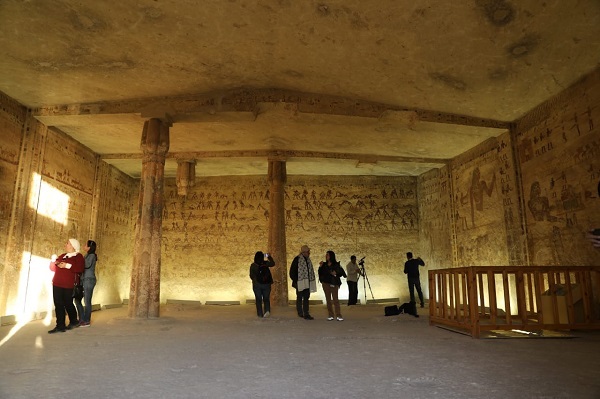 In Beni Hassan they visited tombs of top officials from the Middle Kingdom which have paintings showing hunting scenes, marriage ceremonies, hair cutting, military training. 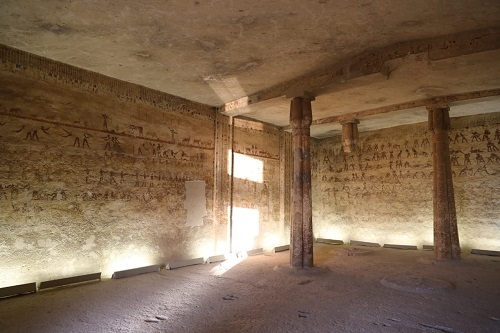 There are 39 tombs at the site, four of which are open to the public. 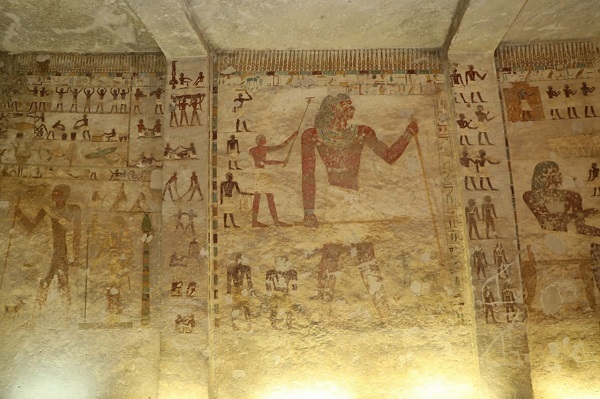 During the tour, El-Enany announced the opening of a fifth tomb, which features wonderful paintings. 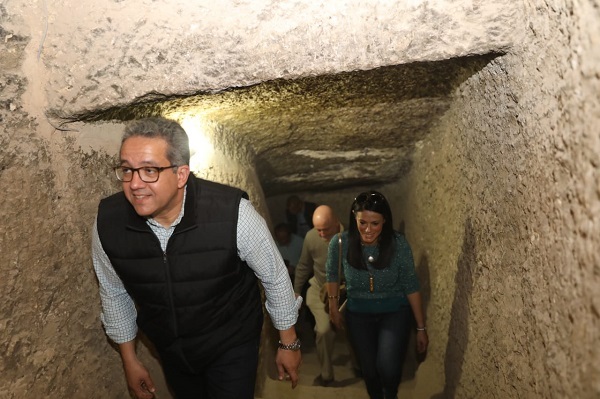 The last stop in the tour was the under-construction Aten museum on the banks of the Nile in Minya city, where El-Enany inspected recent construction work. Work on the museum stopped in 2010 after the completion of its first and second phase due to lack of funds, and resumed in 2016. 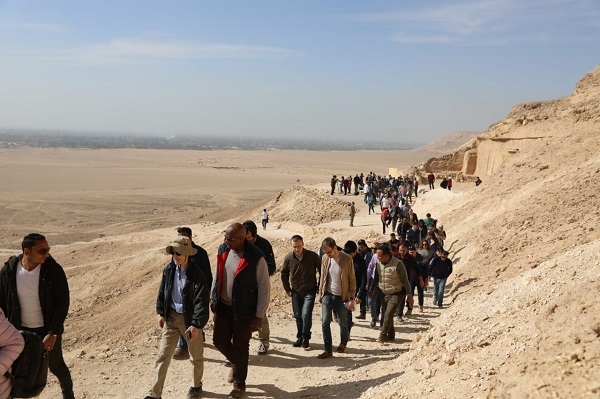 In November 2018, Germany’s parliament agreed to grant Egypt 10 million euros to help in the completion of the third and fourth phases. The museum relates the story of the monotheistic Akhenaten, who was also one of the most important pharaohs in ancient Egypt.